Boffin, trusted software review website published its latest selection of recommended free webcam software, for users looking for quality video experience. With technology improving at an accelerated speed, it’s only natural that users are expecting more and more from their live video streaming software. Boffin, reputed software review website revealed today its top picks for webcam software, giving users a varied range of free programs to choose from, all informed by video quality, advanced features and overall improved user-experience. With technology improving at an accelerated speed, it’s only natural that users are expecting more and more from their live video streaming software. Boffin decided to compile a list of open source webcam software that meet all users’ requirements and expectations. ManyCam is considered by the Boffin reviewers to be a top choice for users looking for easy to use tools. In fact, the Boffin reviewers have noted how the software boasts of smart, time-saving features making the software truly efficient and enjoyable. Its most impressive features include PNP (picture in picture) as well as its screencasting capacity, the Boffin reviewers emphasized. A wide range of audio and video enhancing features is also available for users choosing ManyCam, including audio effects, video effects and graphics as well as on-video doodling. YawCam, short for Yet Another Webcam, is another program recommended by the Boffin team of editors. The reviewers picked YawCam for users who want to have video access to different locations to make sure they are safe. YawCam is capable of live video broadcasting and snapshot capturing all available through one’s android web browser. For Boffin, this webcam application is best suited for office and business owners wishing to monitor remote places reliably. YawCam, is a truly complete software as it provides a series of other must-have features including password-protection and media file conversion. 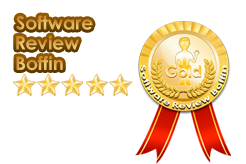 The Boffin reviewers also selected FWink for their lineup of efficient webcam software. This program is especially competent in snapshot capturing in a variety of popular formats. The users can personalize their webcam snapshots by enriching them with text message and other images. For those not requiring video calling support, this is a light and reliable solution. WebcamXP is another webcam software recommended by Boffin. As with YawCam, this one allows for video surveillance for monitoring one’s office or business from the web. Apart from its full range of webcam features, WebCamXP offers extensive support for a variety of devices including USB webcams and IP cameras to name a few. The last webcam program selected by the Boffin editors is Simple Webcam Capture 1.3, which boasts of being able to lower CPU usage, making computers run smoothly and uninterruptedly. Along with the open source webcam software lineup, the Boffin editors also issued a disclosure regarding their reviewing practices. They explained how software recommended on the Boffin website are thoroughly tested and assessed based on high quality standards to ensure the recommendations are accurate and representative. In addition, the Boffin reviewers regularly perform reevaluations of software to ensure all Boffin reviews are up to date and relevant.